Archives_2005_to_Present #179 – Eye over the City a photo by kuantoh on Flickr. A chance to go up the skydeck on top of the Marina Bay Sands. The weather was really gloomy the time I was up there in the afternoon. 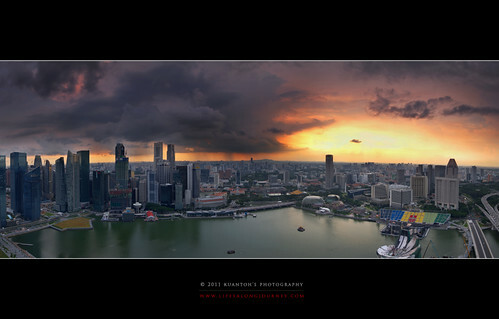 As the sun began to set in the evening, the colors started to be more prominent and in the centre of this panoramic shot, we can see the rain showering in some parts of the island. The clouds shape the colors of the sunset to become somewhat like an eye. I call this Eye on the City. Archives_2005_to_Present #175 – 2 Against 3 a photo by kuantoh on Flickr. When do you ever see only 2 persons right at this location nowadays? Never! Ever since the opening of the MBS and with the influx of massive amount of tourists, this location is packed almost 24 hours everyday. Even at night, there would be a lot of people crowding around here. This is a panoramic stitch of 6 shots. Archives_2005_to_Present #159 – Dusk Falls Upon CBD a photo by kuantoh on Flickr. 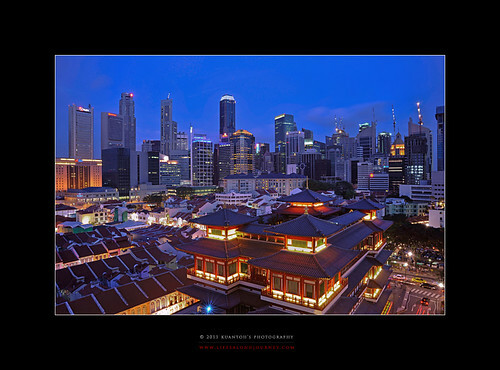 Taken during the blue hour at dusk after sunset when the skies are just blue and the buildings are well lit. 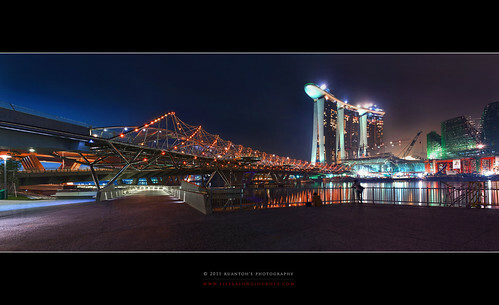 Quite a famous location for cityscape shots among photographers, this is just another shot at a nice time with nice lighting. 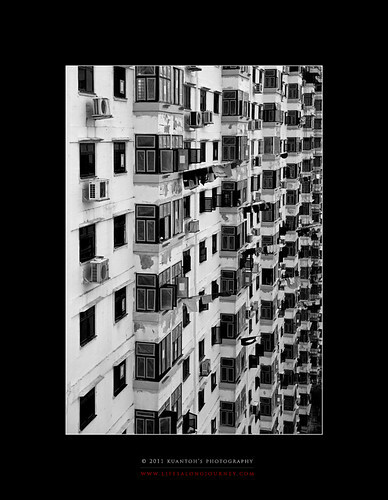 Archives_2005_to_Present #158 – Singapore’s Public Housing a photo by kuantoh on Flickr. Shot taken in an old estate in Chinatown. This was a block of HDB flats undergoing some serious paint works after serious peeling of the walls as well as undergoing an upgrade with windows being changed. This area are mainly one room flats which housed the aged or less well to do families. 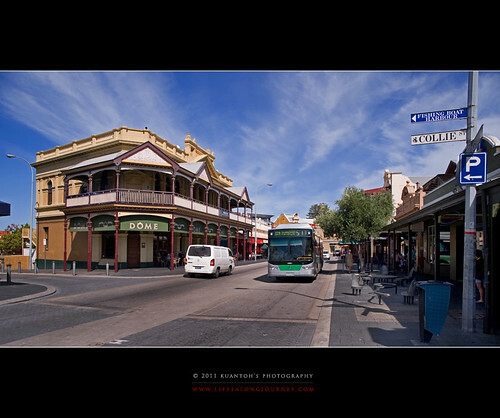 Archives_2005_to_Present #151 – A Relaxed Afternoon in Fremantle a photo by kuantoh on Flickr. This shot was taken with a Nikon D700 in Fremantle, Western Australia, 2009. 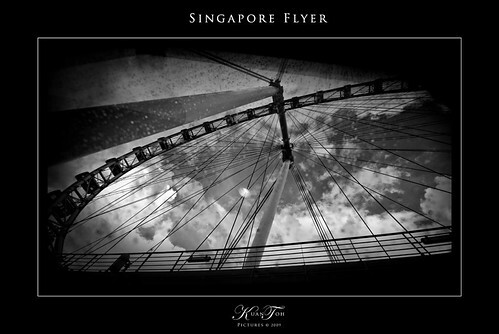 Singapore Flyer revisited. Got 2 tickets last year from friend for the SG Flyer. It was not the best weather as me and friend were caught in a thunderstorm on route to the Flyer. Then it was cloudy and moody when we took the ride. View up there was nice but if the weather was better, it would have been nicer. This shot was taken just before entering the capsule.